When you are starving, exhuasted and confronted with an unfamiliar street full of good eateries, you can only hope to settle for a place that serves up a satisfying and wholesome meal. 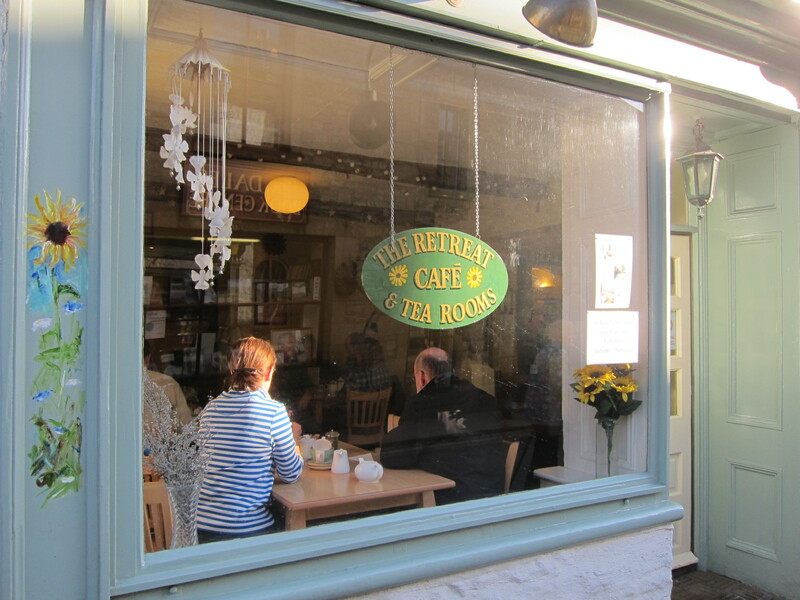 The pale shade of green framing The Retreat Cafe & tearoom stood out against the cobble grey buildings, and with the likes of a good crowd and a seemingly cosy interior, we decided to go for it. Hello, we are Nat and Yuen and we love our cafe-exploring days in York. Please feel free to share, comment and follow! Have a munching good time! Summer's out and Nat and Yuen are making their respective ways from Singapore to the continents of Europe and America : Yuen's currently residing in Santa Barbara, California, while Nat is back to good old York for more cafe escapades! Before the mundanity of school kicks in, we'll be updating our backlog of culinary finds from Easter break, and home in Singapore during summer!